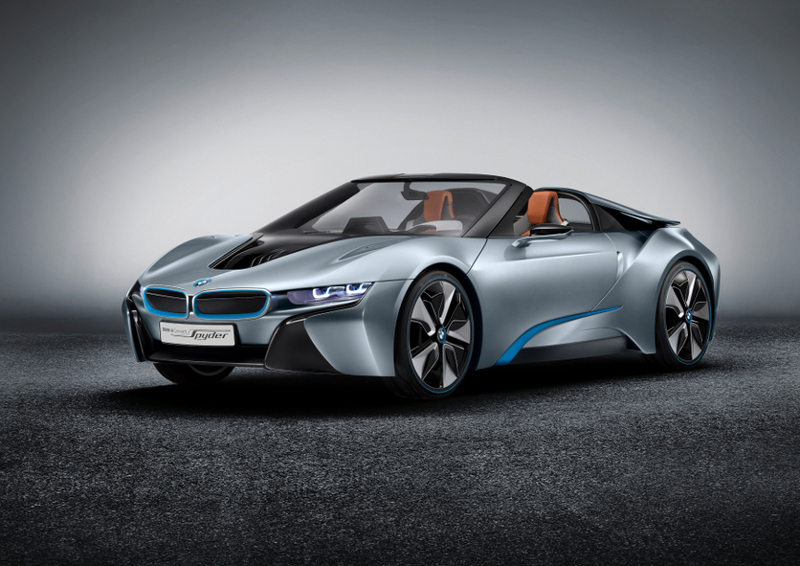 MUNICH - April 2, 2012: Following the presentation of the BMW i3 Concept and BMW i8 Concept, the BMW Group introduces the BMW i8 Concept Spyder to the mix. 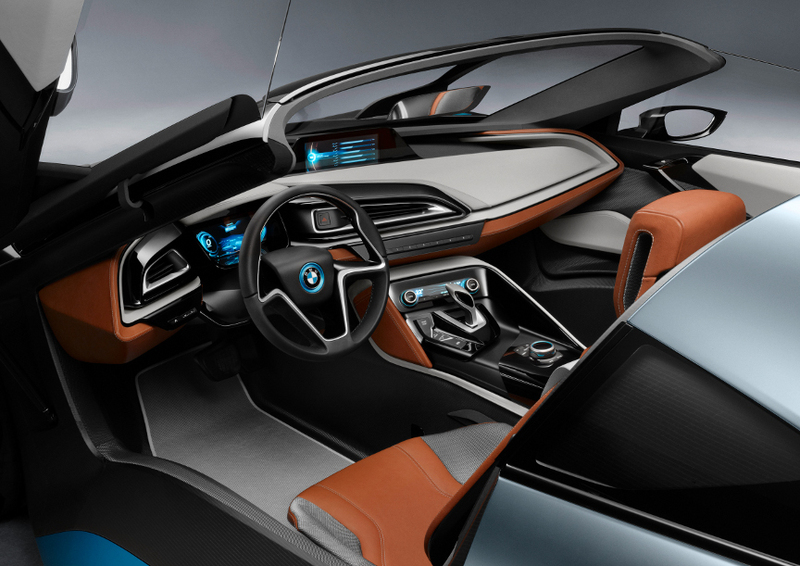 This third BMW i model embodies the future of cutting-edge and emotionally appealing mobility concepts. Its sporting design headlines the qualities of an open-top two-seater blending lightness, dynamic capability and efficiency with a very special aesthetic allure. In other words, the open-top two-seater produces the performance of an out-and-out sports machine yet posts the fuel economy of a small car. The 96 kW (131 hp) electric motor on the front axle works in tandem with a turbocharged three-cylinder petrol engine sending 164 kW (223 hp) through the rear wheels. Both units are in-house BMW Group developments and generate an aggregate system output of 260 kW (354 hp) and peak torque of 550 Newton metres. 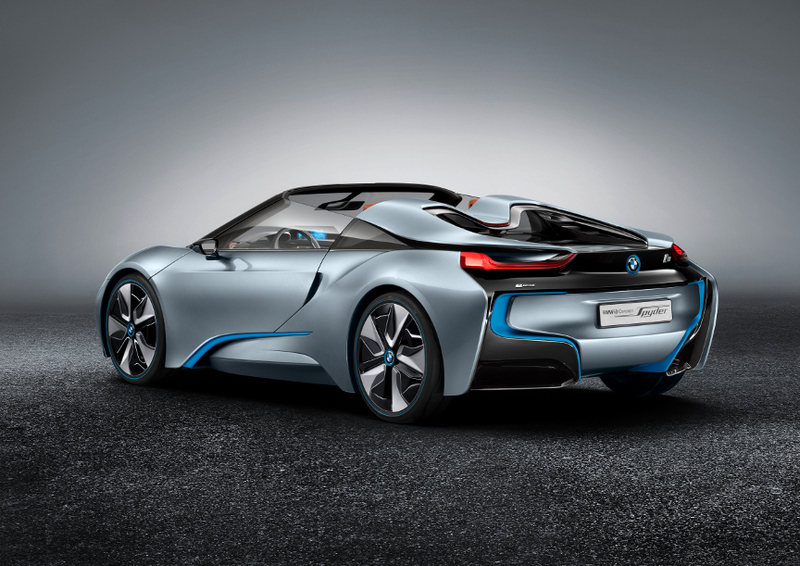 That is enough to accelerate the BMW i8 Concept Spyder from 0 to 100 km/h (62 mph) in five seconds on the way to an electronically governed top speed of 250 km/h (155 mph). Despite this performance, the two-seater burns just three litres of petrol per 100 kilometres (equivalent to fuel economy of 94 mpg imp) in the European test cycle.